It’s safe to say that Swedish ISP Bahnhof is one of the most aggressive companies when it comes to defending its customers from interference initiated by outside parties. 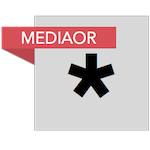 The ISP is an outspoken critic of copyright trolls and has taken a number of measures to ensure that it’s extremely difficult for them to identify Bahnhof subscribers. It also believes in the open Internet and by extension is against site-blocking efforts on copyright grounds. In November, however, it became clear that Bahnhof would be joining the ranks of other blocking ISPs after a court ordered it to block a series of domain names following a complaint from academic publisher Elsevier. A clearly incensed Karlung then did something that has never been done before. In a retaliatory move, he prevented his subscribers from accessing the official Elsevier.com website directly, sending them instead to a landing page containing an advisory notice about blocking and an option to click through. This was done to give the publisher a taste of its own medicine. The maverick businessman didn’t stop there though. On top, he ordered his team to ensure that users of the court’s network could no longer access Bahnhof’s website. These protests were designed to provoke a debate about net neutrality and that, it now transpires, is something that will come to pass. An announcement by the Swedish Post and Telecom Authority (PTS), which acts as the national watchdog for the electronic communications and postal sectors, reveals that it has launched an investigation into Bahnhof’s actions. “The Post and Telecom Agency (PTS) is investigating whether the internet service provider Bahnhof has taken measures to influence access to websites,” PTS says. 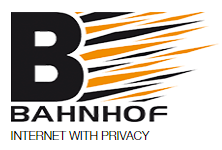 Noting that Bahnof has implemented measures that have restricted access to websites, PTS says it is now investigating whether Bahnhof breached net neutrality rules. After being adopted on November 25, 2015 and coming into force on April 30, 2016, Regulation (EU) 2015/2120 enshrined net neutrality provisions into EU law, including non-discriminatory traffic management. PTS says it will seek to detemine if Bahnhof’s actions are in line with the Telecoms Single Market Regulation, noting that ISPs may not block, alter, or discriminate against specific content. ISPs in the EU are, however, able to implement traffic management measures beyond those that are normally considered “reasonable” in order to comply with legal requirements, such as blocking sites in response to a court order. Speaking with TorrentFreak, Karlung says the situation can be interpreted as “the essence” of irony. Bahnhof’s CEO says he hasn’t yet seen any formal questions or demands from PTS about his company’s “counter-blocking” but it’s clear he’ll relish the chance to bring this issue to the attention of a wider audience. “We will of course not let this go unnoticed, and I heartfully thank PTS for this fine opportunity,” Karlung concludes. PTS says it will be sending questions to Bahnhof which will require a response by January 17, 2018.